I was on ClickBank the other day and stumbled on this “Viral Cash App” product. I went to the sales page. Wouldn’t you know, Matthew Neer is at it again. This guy launched so many products in the last two, two and a half years that it’s hard to keep up. This guy is a prolific product launcher. I have seen him on a bunch of other products, and I wanted to know exactly how his “Viral cash app” worked. As usual, this product has this super hyped up sales page showing fancy cars fancy mansions saying you will be making hundreds and hundreds of dollars a day. It starts out showing a new Special Report. They took bits of news reports from all over TV networks and put them together to make believe that his product has been on the news. These are actually just News Networks reports about home-based internet marketing businesses that were put together to deceive the people that it’s actually a news report on this product. If you want to join, the sales page/video started at $47 but as soon as I tried to get out of the page it went down to $24.95 then as soon as I tried to get out of that page, then you can get in the program for $10 bucks. 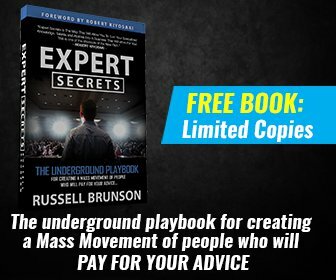 So, you see that the inexperienced Affiliate marketer can pay $37 more than anyone who wants to try for $10 by going through the sales funnel on the first click. There are upsells for $149 and another one for $97 and then another one for $197 then you get to the members’ area. You don’t have to buy in the upsells, but to the new entrepreneur, they are very attractive and well-made upsells. How does Viral Cash App really work? It’s an “automated” cloud-based program that is supposed to bring in viral traffic, and therefore massive cash to its members’. The real idea behind this program is to find viral content on YouTube that you think might be worth sharing, bring it into the cloud-based “app” and then share it, along with various monetization methods that are provided to you in the app like Google AdSense for example. Then you share it on the “Viral cash app” website which is called viral syndicator. Once it’s shared on viral syndicator website, it is linked to your viral cash app account and the advertisement you have chosen to put up. When people click on your advertisements that you have chosen to put there yourself, you get paid a commission. That is basically how you are supposed to make money. To be honest, it is a clever idea, since all you have to do is you share the video link on your social media accounts, and if someone clicks on one of your advertisement links, you get the commission. However, there is a big problem: The site has not much traffic! The only traffic is coming from Social Media that you share! So, let’s say that you share a video on your Facebook page and some of your friends click on the “link”. (You have to remember that most of your friends won’t even see your link because of Facebook’s new algorithm.) But let’s be generous and say that 20 of your friends click on the link. Then what? 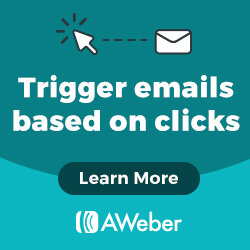 Why would someone buy or click on some advertisement just because they clicked on a video on Facebook and was brought to this website? READ What is a keyword? So basically, that’s where everything stops. Even if the name of the website is viral syndicator (viralsyndicator.com), there is absolutely no viral traffic here, and not many people are coming to the site. Here is an example of how many views for one video. As you can see there are 17 views and NO comments on this video that has been posted three days ago. I don’t think that counts as being “viral”. Even their Most liked posts have minuscule views for the time they have been online. This example shows a video that was posted over 2 years ago with 3,542 views. Not really “viral”!!! Some other big problems which are not explained in the video is the fact that you don’t own your website. All you do is rent some space. If they decide to shut it down, you stop making money. It’s not automated like they claim on the video. You have to drive the traffic to their website yourself! This is NOT an unlimited amount of traffic like they claim. I would not necessarily classify this one as a scam since you do get access to a “program” as per se, but their sales page does show unrealistic expectations to its potential buyers. The video is super hyped and full of claims that are not true. They claim that this is private and only available to a few people. This is another way of prying on people’s emotions to get them to click on the Buy Now button. It’s sold on ClickBank, so you have their 60 days money back guarantee. It’s misleading! You cannot expect to make the kind of money he shows on the videos. This guy makes money by launching new products, and the ClickBank screenshot he shows is not from this program. You don’t own your website, you are part of a system that could shut down anytime. You have to use other people’s content (like the YouTube videos). Nothing is “Viral” here. The traffic you get from your Social Media shares is your traffic. They do have legit a way to do business, but I think you will agree with my verdict! I also think that Facebook is a waste of time because of the new algorithm and I know that none of my friends would buy stuff when they are directed to some random website and there is no viral traffic is going to that website is another red flag. I wonder about something though, can you recommend training about Facebook’s new algorithm? Do you have experience with one? I agree that if someone is not particularly educated with the new Facebook’s algorithm, it can be very frustrating. Are the websites that viral cash app give to you on a subdomain or a regular domain? Also, with the websites that they give you, how much control do you have with customizing it? I would figure you want to differentiate to try to avoid duplicating content and getting penalized by google. The way it works is that you post a video that you have found on YouTube on the “Viral cash app” website which is at viralsyndicator.com. But you have to bring the traffic there yourself through social media, then and only then if someone clicks on one of your advertisement links, then you get a commission from Viral cash app. About Google wanting to penalize you, well you don’t own anything, you have an account with them that’s it. I will reiterate the fact to stay away from this one. Not worth the money or time. Thanks for your question! Feel free to check my method of making money online. You have to be very careful with making money products and when they mention to use with an app. That should already start to ring alarm bells. Most new people would not even recognise the dangers and just sign up, expecting their video to go viral. How would you recommend a new person starts on the money making journey online? You are right about the fact that those programs who claim you can make money without any efforts, on autopilot are usually too good to be true. 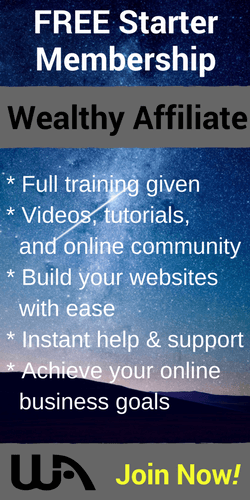 Whoever, if you are willing to put in the effort and time, My I suggest Wealthy Affiliate. This blog has a link to go and get all the information you need but you can also click here for more information! Hey, thanks for the warning and introducing one more social media sharing program. I too have made only a few good experiences with Facebook. To get successful there you also need time and dedication. First of all, you need to build a trusting followership. I’ll read the article, “facebooks algorithm” by Bufferapp. Like I said in the review, Viral cash app is just another product launch from Matthew Neer. It is super hyped and not realistic. I would recommend you check out a real way to make honest money online. 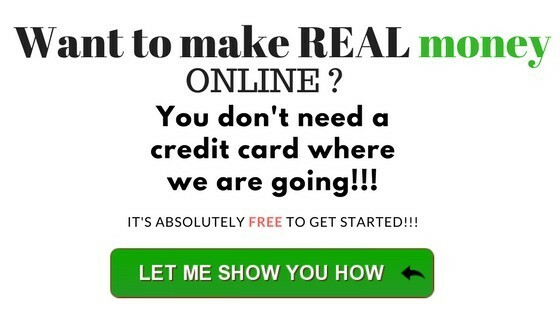 I make money online using this method and it works! Wealthy Affiliate has been in business for 12 years and has thousands of members making money while they sleep! That is something worthwhile!